You know that long belt under your car's hood that runs over a series of pulleys? That’s called the serpentine belt and it’s one of the most important components of a vehicle's engine. The serpentine belt is responsible for driving many of the accessories that are so very important on today’s new cars. 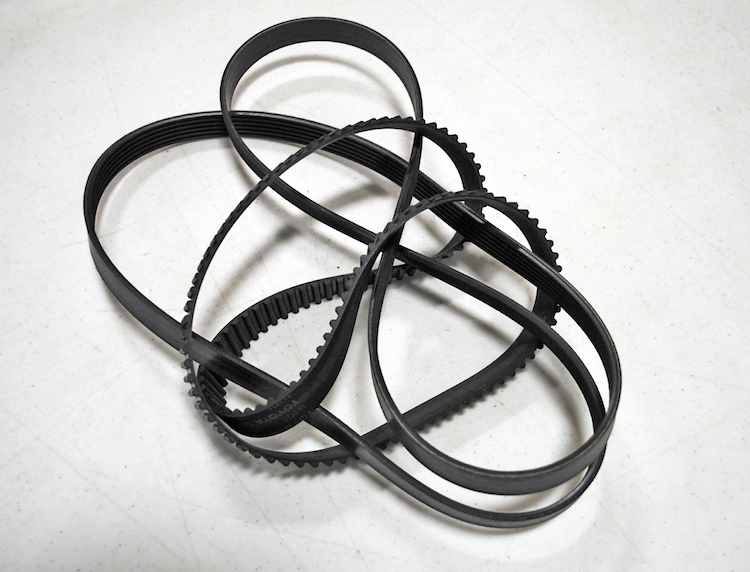 A serpentine belt drives items like the alternator, power steering pump and even the air conditioning compressor. Replacing a worn out belt may seem like a daunting task at first, but it can be carried out with a basic set of hand tools and a little automotive knowhow. How to tell if it’s replacement time? It used to be that with older cars a visual inspection was all that was needed to determine if a belt needed to be replaced. One would look for worn edges or cracks in the belt itself and if present, the belt(s) would need to be removed. However, as with anything automotive, changing technology means changing repair practices and thus, it’s more important than ever to consult your car's owners’ manual to determine when, and at what mileage belt replacement should occur. 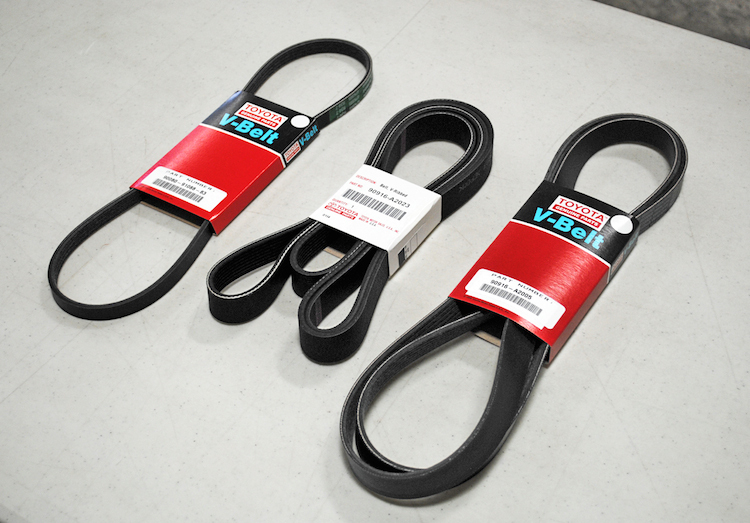 Keep in mind as well that older cars may utilize more than one belt, which can mean more frequent service visits. What causes a belt(s) to fail? There are a variety of things that can cause excessive wear or belt breakage. Hearing a noisy belt for instance may be a sign that it’s time for a replacement, as can pulley failures or outside contaminants (coolant, power steering fluid, oil leaks). The best rule of thumb however is a simple inspection when checking things like engine oil, washer fluid or battery terminals. If something looks as though it needs replacement (even to the untrained eye), then you should air on the side of caution and consult your dealer certified technician immediately. 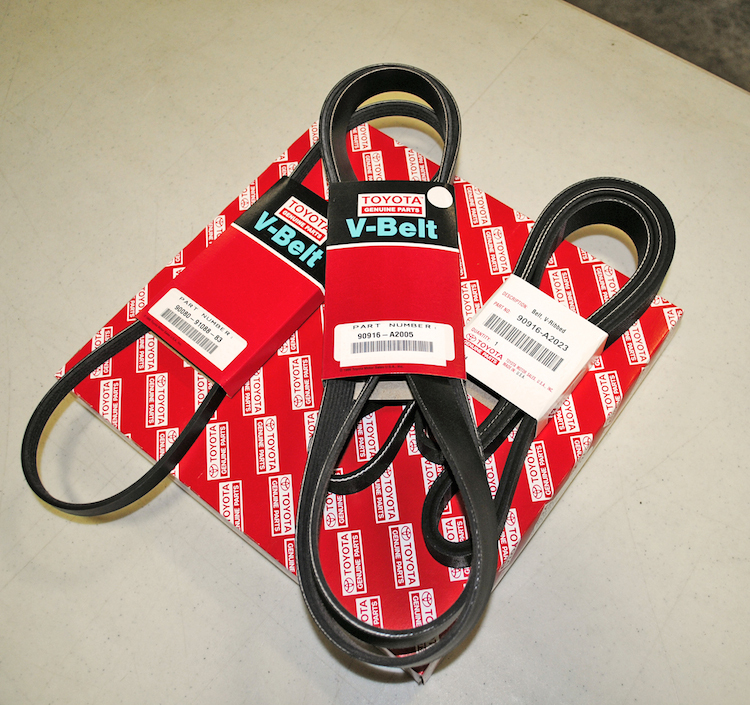 Why is it better to purchase belts at your dealer as opposed to an outside auto parts store? We often think about OEM parts as more expensive. Is there truth to this? Well, it depends on how one looks at it. When a part is purchased from a local dealership, it’s guaranteed to be designed for your specific year / make / model by the company that manufactured it – something that can’t be said for aftermarket parts. Dealerships are also up to date on the latest recalls and improvements, which can mean better quality parts and a longer life for any vehicle.